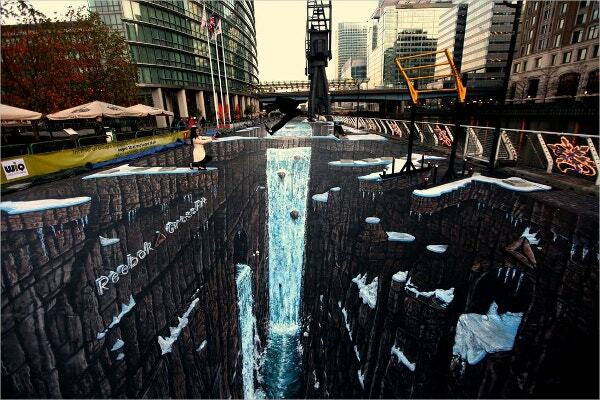 3D Street Art is all about impact, and this is what fascinates the designers the most. 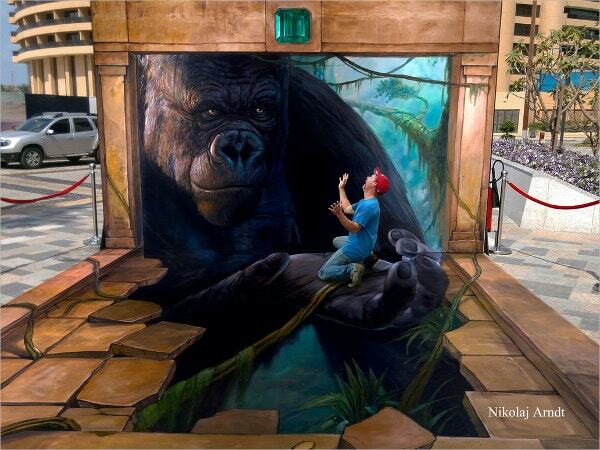 3D Street Art mesmerizes people and open doors for brand engagement through its unique designs and concepts. Due to the catchy nature of 3D Street Art, designers benefit a lot by taking design inspiration from the designs elements of 3D Street Art designs. 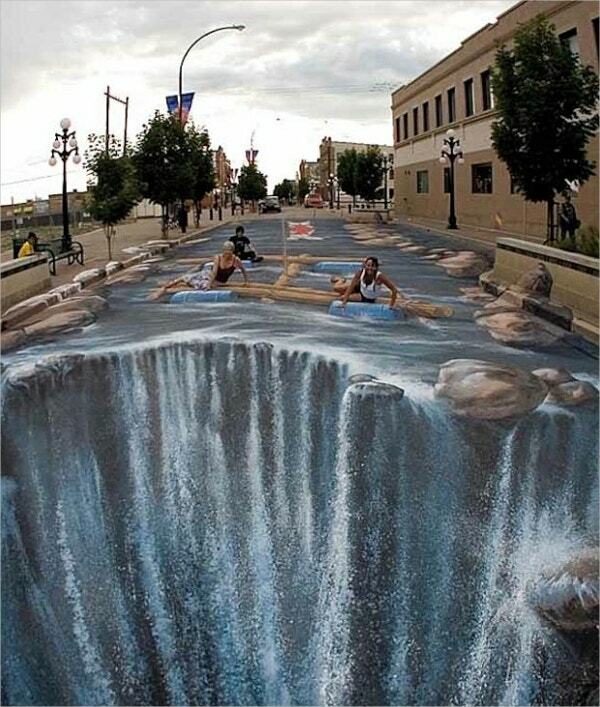 Some of the 3D Street Art or art illusions are so realistically created that it lets the beholders wonder where reality starts and fiction ends.Here, in this below post, we are going to put lights on a few such unbelievable pieces of 3D Stree Arts that designers can take inspiration from. Guinness World Record 3d Street Art is a creation by 3D Joe & Max and they have helped various brands like Google, Disney, Coca-Cola, etc. 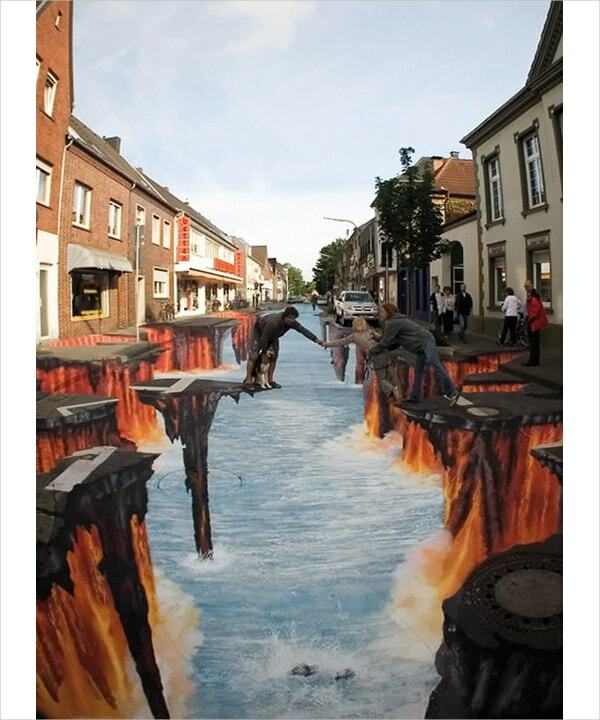 through their incredible 3D Stree Art designs. And through the above 3d Street Art, they broke two Guinness world records by creating the world’s longest and largest 3D Stree Art ever. It measured 1,160.4 square meters and 106.5 meters long. The artists, Joe and Max have created this masterpiece for Reebok brand. 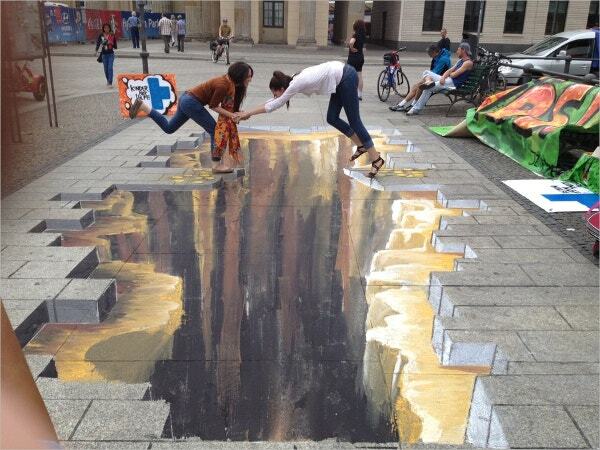 Mind Blowing 3D Sidewalk Art is yet another finest collection of 3D Street Arts. In the 1st 3D Street Art, the artist has made fantastic use of the available resources to create an amazing picture of a skeleton which is bound to impact designers due to its simplicity. In another 3D artwork, the artist has made an attempt to create a surreal palace underneath the ground. 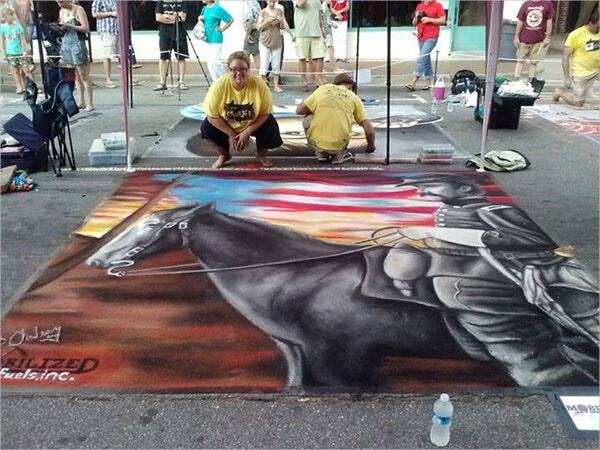 The artist has focused a great deal on detailing to make it look so realistic. 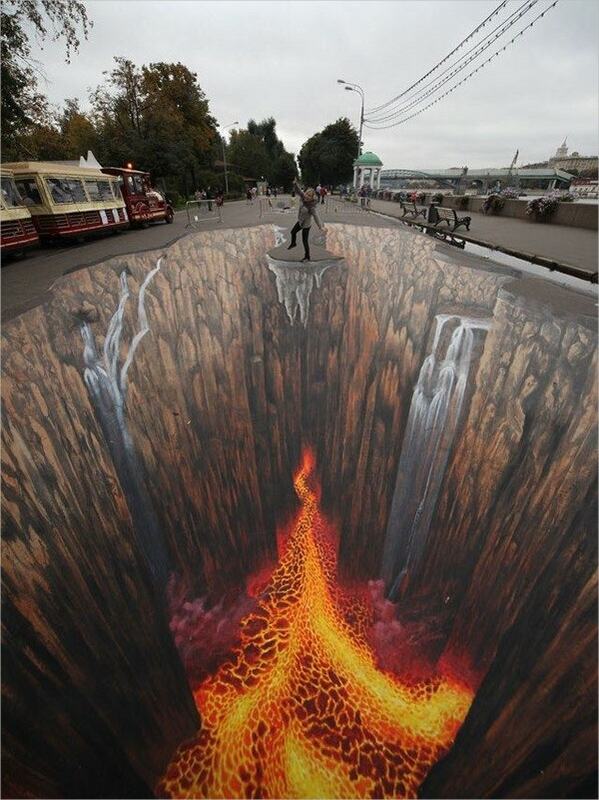 In the next 3D Street art, the artist has tried to capture the audience’s attention through an unbelievable piece of art wherein there is a fire burning in the form of lava underneath the ground and a man is seen trying to balance himself at the top. Designers can definitely use such concepts in their designs. 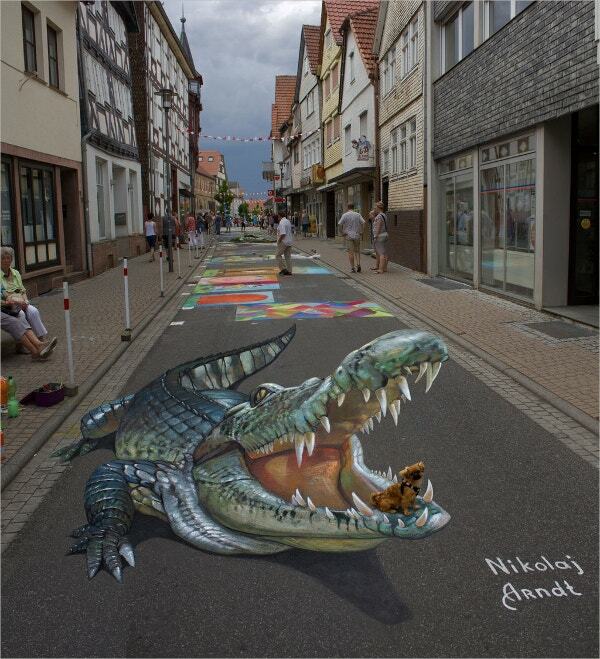 Street Sand Art is another dimension of street art which hasn’t been explored much. 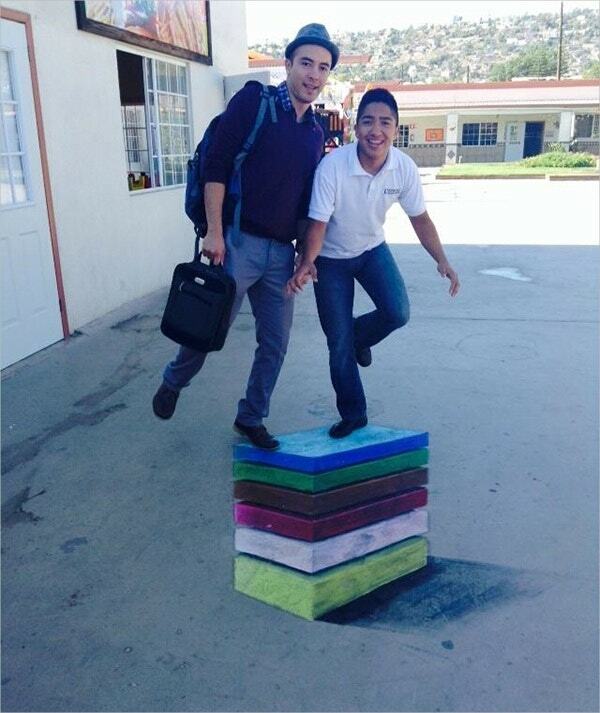 Street Sand Art can be an attractive and absorbing medium of 3D Street Art for children and young people of all ages. 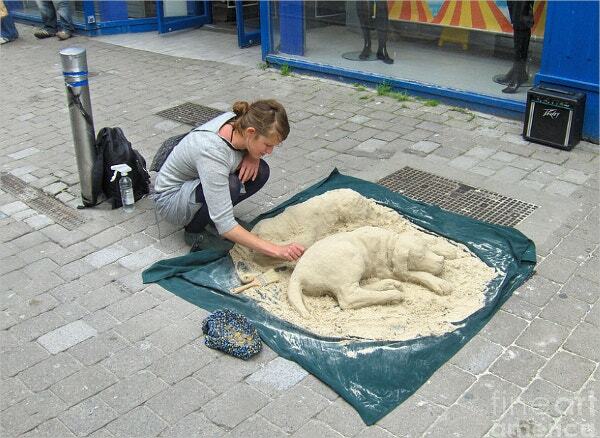 The above Street Sand Art is a three-dimensional puppy and it was created in the street of Ireland. 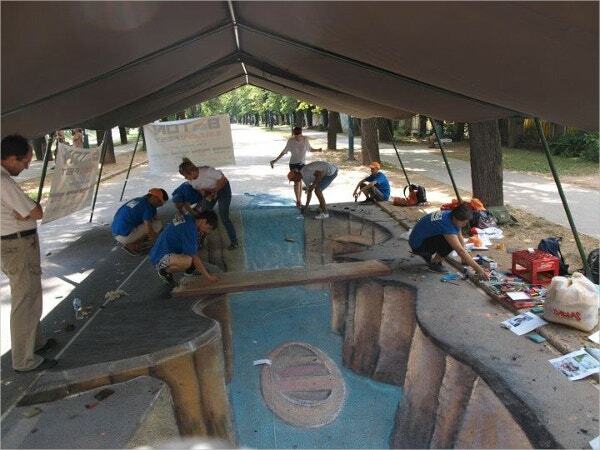 Festival 3D Street Art is the first 3D Street Art that took part in the street paint Festival in Sarajevo. 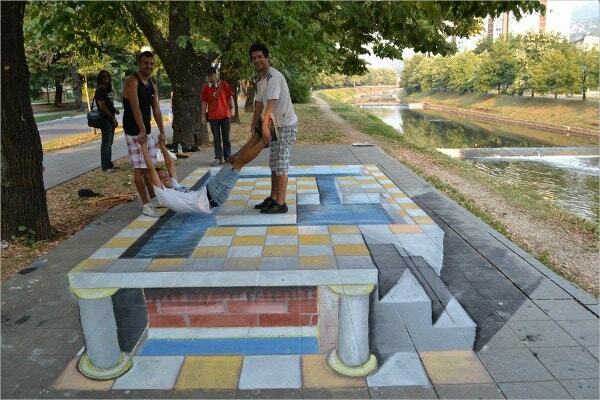 Here, the artists have used chalk and dry pastel to carve out this awesome 3D Street artwork. They have given us an excellent demonstration of the use of color to create depth and designers should take a leaf out of this artwork for sure. 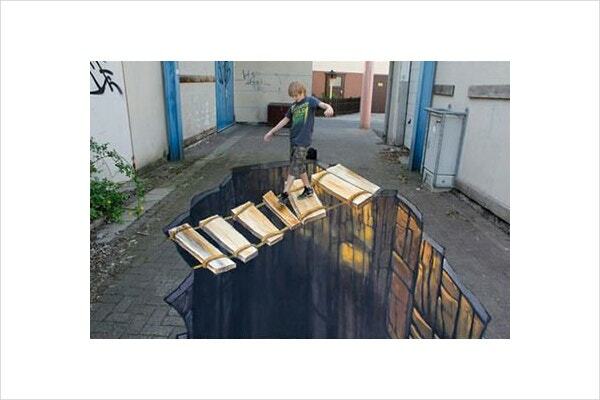 3D Anamorphic Street Art is an excellent example of how 3D Street Arts are made. One can see the various stages of the artwork while it was being made. Designers can find some great designs with glowing colors painted on the street. 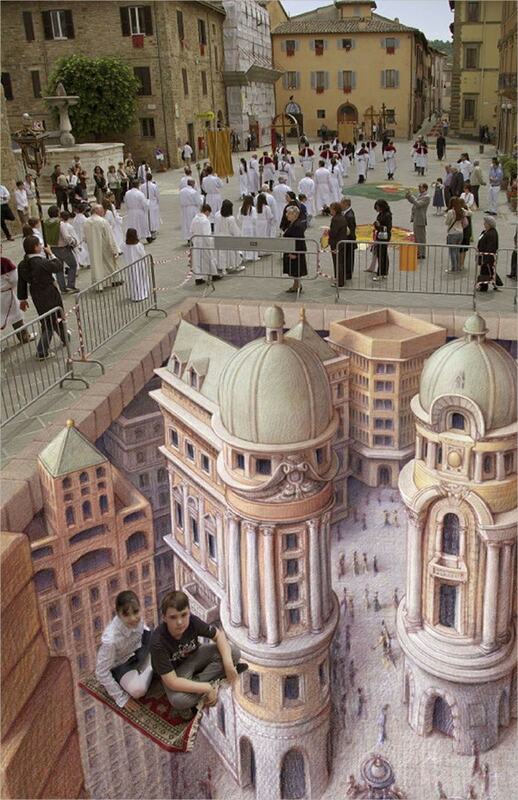 This magnificent 3D Street Art is developed and painted by Light Up Murals in Hong Kong. 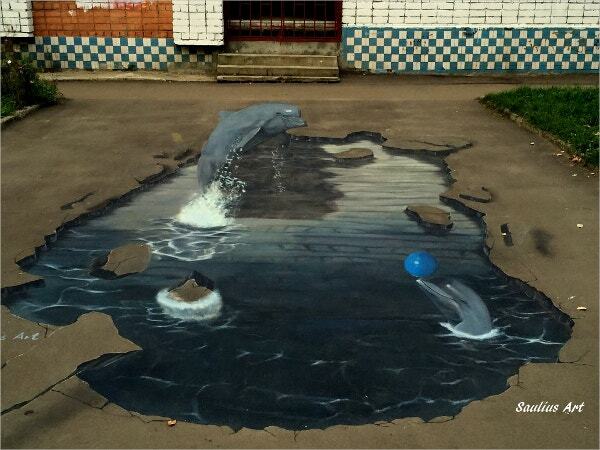 One must appreciate the sheer beauty and magnificence of this 3D Street Art Dolphins. Here the artist has created an optical illusion of dolphins. The art piece looks so realistic as if there are dolphins on the street trying to come out in the open. The attention to detail in this street art design aided by the artist’s imagination makes it a brilliant example of 3D Street Art. 10 3D Street Art Examples is a collection of some awe-inspiring 3D Street Artworks used by various brands over the years. It is a total collection of ten 3D Street Arts and has ample display of different design methodologies used by various 3D Street artists, which designers can make use of for creating their unique designs. 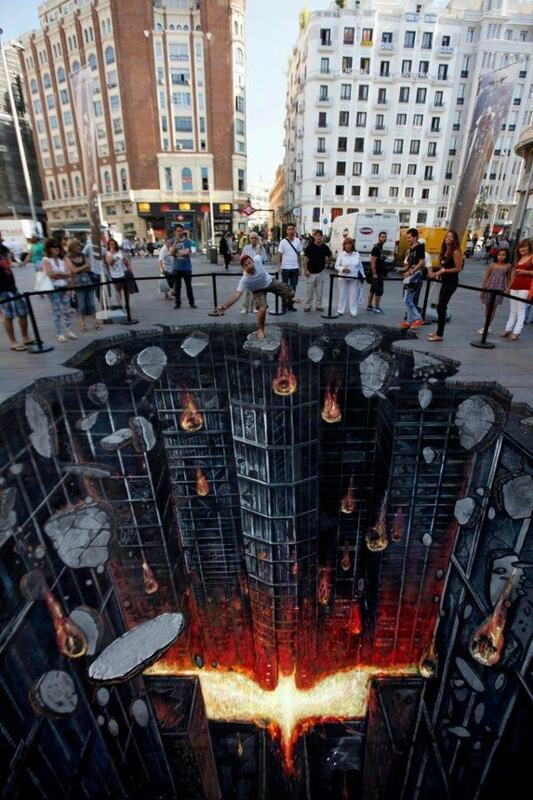 For the record, Awesome 3D Street Art is the winner of the “Turn Your Neighbourhood Into Mordor” Photoshop contest, and it has all the reason to. With other 3D Street Arts, if the onlooker looks at the art piece from a particular perspective for long enough, they get an idea about the artwork more often than not; but with this Awesome 3D Street Art, the longer you are going to look at it, the more confused you are going to get. 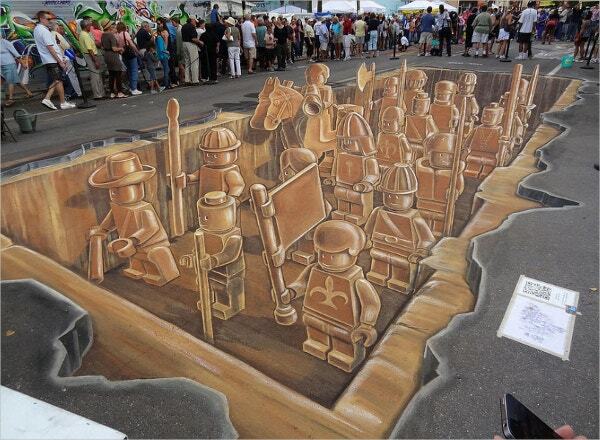 That’s the beauty of this Awesome 3D Street Art. 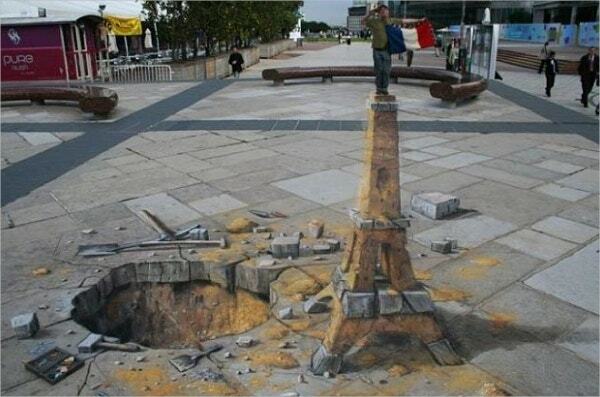 This is the best collection of 3D Street Arts you will come across. It contains twenty 3D Street Arts and all the art pieces are beautifully crafted and present an excellent display of use of colors, design patterns and most importantly imagination. 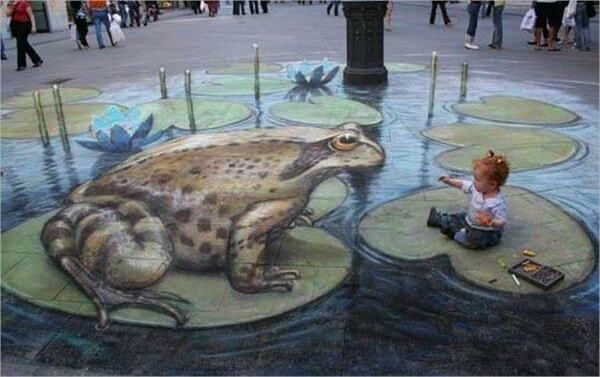 You can see different concepts being adopted by a variety of 3D Street artists here. In one of the artworks, you can see a tiger trying to come out of the canvas, and a small kid is trying to run away from the scene. 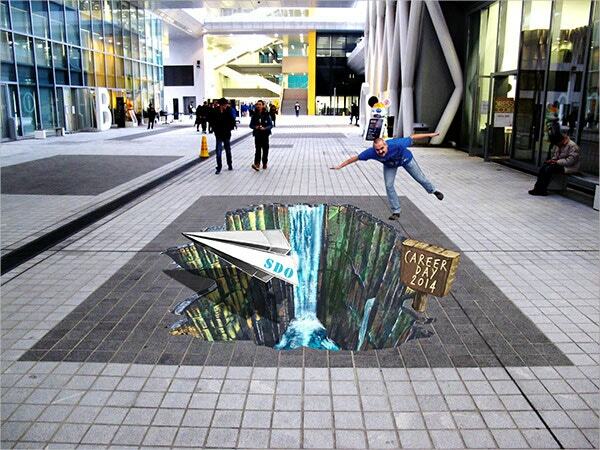 The popularity of 3D Street Arts is ever-increasing, and many notable brands are already taking advantage of public’s curiosity on 3D street paintings to create awareness for their products. Designers find it incredibly tough to come with fresh design ideas all the time and thankfully enough, they have these 3D Street artworks to look up to get inspiration from. 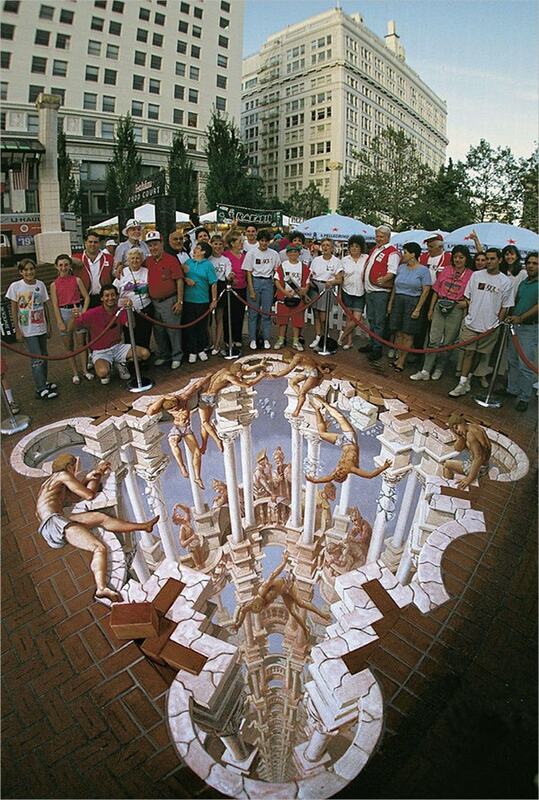 You can also see 3D Art Painting.